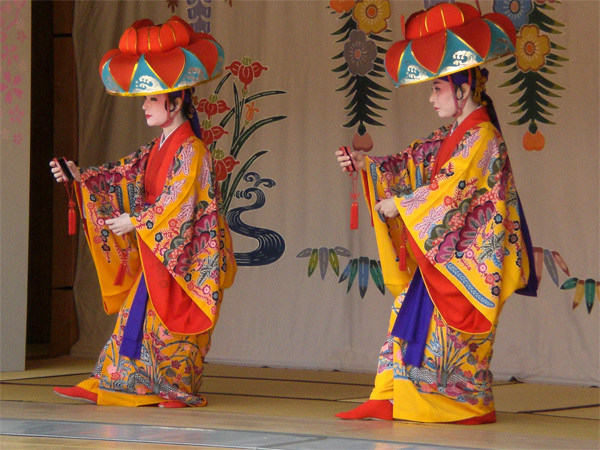 The colorful costumes of “Yotsutake” and the exquisite choreography of “Kasekake” reveal some of the allure of Ryukyuan dance in this free-of-charge performance. There are three performances a day on Wednesday, Friday, Saturday, Sunday and holidays at the Shichanu-Una, Keizuza and Yomotsuza buildings in Shurijo Castle Park’s free area. Dancers and material differ from day to day, and on Sundays there is also live sanshin, koto, Chinese fiddle and taiko drumming.